This is because kids put many things they find in their mouths. If they have access to the batteries or the chargers of your electronic cigarettes, they can also put them in their mouths. This can cause burns and shocks that are very dangerous to your kids. To avoid this, ensure that they are stored properly in a place that is not easily accessed by kids. There are some modifications such as changing of the battery, removing parts of the atomizers, changing the workings of the cartridges, and other modifications. These modifications can be very dangerous and should be avoided. You have to purchase electronic cigarettes that will best suit you to avoid such modifications and keep in mind that e-cigarettes work very well with the original components. There are some individuals who are used to driving when they use their electronic cigarettes. You have to be very careful so as not to lose focus on the road. Doing things like changing the battery and dropping the juice while driving can make you lose focus on the road hence you can easily cause an accident. You have to be aware of the right type of e-cigarette to use. Do your own research and identify the best electronic cigarettes that will not harm your health. Moreover, you should be aware of the quantity of the additives so as not to ruin your health. Although they’ve only gained popularity in recent years, electronic cigarettes are quickly becoming the choice of many smokers due to the various benefits one can enjoy when smoking them. Even some new smokers are opting for these types of cigarettes as they do not produce smoke, ash, and harmful toxins associated with tobacco smoking. Unlike traditional cigarettes, e-cigarettes do not contain tobacco. This means that you can still enjoy smoking without having to inhale the thousands of chemicals, including more than 40 known carcinogens, which are produced when tobacco is burnt. As a result, you’ll be at a lower risk of developing conditions such as a stroke, heart attack, throat cancer, pneumonia, lung cancer, osteoporosis, and Alzheimer’s. When smoking a traditional cigarette, you’re burning tobacco and will require an open flame in order to light it. As a result, these cigarettes pose serious fire hazards that may result in death and destruction of property. With electronic cigarettes, you’ll not be burning anything and therefore don’t have the hot cherry that can burn you, your furniture, and your clothes, house, and so on. 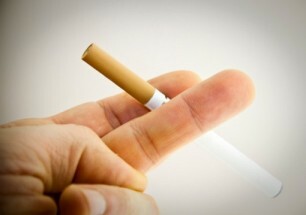 Tobacco cigarettes emit an irritating smoke smell because you’re burning tobacco and tar, and some chemicals as well. And these substances have properties that make them stick on things like hair, clothes, furniture, and walls. Moreover, many people will likely avoid close contact as they find the smell offensive. This is why the smoking of traditional cigarettes is restricted to certain areas (and banned in some). For smokers, it can be a bit hard to notice the smell as they’re immersed in it most of the time. Electronic cigarettes, on the other hand, do not produce smoke but instead a smoke-like mist that evaporates within seconds. The vapour has almost no smell, although some people say it smells similar to cotton candy! Note that certain e-liquid flavours such as vanilla and strawberry e-liquids may emit a sweet scent but it won’t linger. Whatever it is, electronic cigarettes certainly smell better than tobacco cigarettes. Since there’s no combustion in electronic cigarettes, there are no things like ash or cigarette butts to deal with. You won’t have to clean anything or have someone do it for you! This is why e-cigs can be smoked almost everywhere (in the office, at home, at a public place, and so on). I didn’t believe it could be possible, but they really don’t product a strong smell at all – it’s much lighter than tobacco without the residual smell. It’s actually quite pleasant, a bit like incence. I was with my friend the other day and didn’t realise what he was doing at first, but it was an e-cig! Having used these I can vouch for the fact that they won’t leave a residual smell on the curtains or upholstery, which is great because it’ll mean that my place won’t stink of tobacco any more! It’s just as well because before now I’ve had to refurnish my living room because of smell and stains, but obviously that won’t be a problem again. Ecigs have improved greatly over the years. I think it's important to treat them like the real deal, though. You never know when disaster will strike. Though I know that most cigs are safe... e cig or not. I also love that e-cigarettes do not produce a smell or residue. No need to ash after you are done, or spray yourself down with some kind of spray to deodorise the smell. I was a heavy smoker back in the day, but since my first month on e-cigarettes people thought I quit. LOVE the fact that I don't smell or taste like an ashtray at the end of the night. My wife likes it too. They are a lot safer. I don't want to burn down a house.